Pre-event interview with Scott Linden from the Wilmington Trust | Fleming. Are US banks ready for the new margin requirements and in what other way will 2017 be challenging? 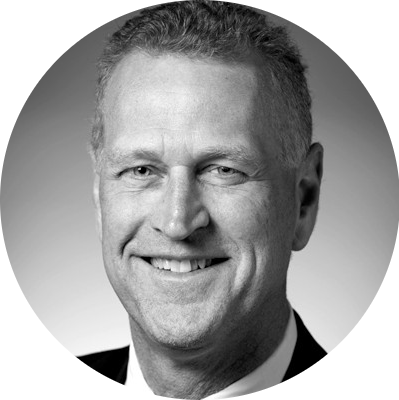 Hear from our speaker, Scott Linden at the 6th Annual Collateral Management Forum. What is the biggest obstacle in becoming ready for the new margin requirements? The readiness obstacles are numerous but I believe this biggest issues for many clients will be the ongoing maintenance of the new agreements alongside their legacy agreements. Margin call activity is expected to increase significantly – in calm markets. When the markets start to heat up and become volatile, this further spike in margin call activity across what will soon be a larger number of agreements will strain the infrastructure of all market participants. What do you think currently banks lack in order to be geared for the future challenges? I think the biggest banks are in pretty good shape but that mid and smaller regional banks may struggle with the new margin requirements. The likely normalization in interest rates should significantly help earning and share prices for banks in 2017, but the regulations will still cause a drag. Of course, it will be “interesting” to see what the Trump administration does (if anything) to ease banking regulations. Which upcoming regulation do you think raises the most concern and why? The uncleared derivatives variation and initial margin requirements. The variation margin big bang became effective March 1st, but bilateral positing of initial margin has only impacted the biggest players as of last September 2016. When this cascades into the lower areas of the market, it will be interesting to see how smaller market participants cope and what impact the additional cost will have on the uncleared marketplace. Where do you see the next biggest challenge for 2017? The readiness of custodians to support smaller clients desire to outsource to their primary custodian. Not only are banks and buyside clients challenged by margin regulations – but service providers such as custodians are as well. Clients need to fully understand the steps that custodians are going through and feel confident and comfortable in those steps. If a custodian is seen as taking short cuts or missing some important aspects in their service model, it could severely damage their reputation and hence their business proposition as a service provider.